This event finished on 16 October 2016. 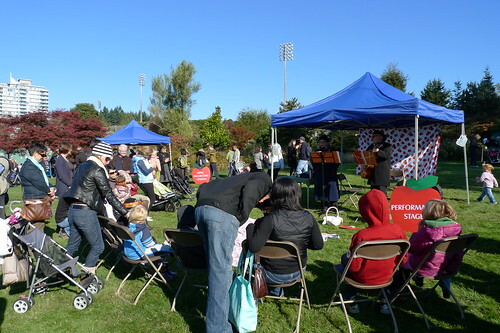 A family event for all ages, the UBC Apple Festival celebrates one of BC’s favourite fruits. From learning about the diversity of apples to tasting rare and unusual varieties, the Apple Festival is a great opportunity to discover more about this delicious fruit. Apple Festival admission includes Garden admission. This fundraising event, organized by the Friends of the Garden, supports UBC Botanical Garden. *Membership cards or passes for UBC Botanical Garden Members, UNA members, affiliated organizations and Groupons are not accepted in lieu of the $5 admission fee. There will be NO parking at UBC Botanical Garden. Please park at the West Parkade or Fraser River Parkade. There is there is a free shuttle bus from the UBC Campus West Parkade and Fraser River Parkade beginning at 9:30 am and running every 20 minutes. The last shuttle leaves the Festival at 4:45 pm. The Garden is serviced by the #49 UBC/Metrotown bus or the #C20 UBC Shuttle. Please check the Translink website for up-to-date bus schedules. A bike valet will be available at the main entrance. This event aims to be a zero waste event, supported in part by the UBC Sustainability Initiative. Interested in volunteering at Apple Festival? Please email garden.fogs@ubc.ca. No pets are allowed in the Garden (service animals excepted). Please leave them at home. This year, around 36,000 pounds (16,329 kilos) of apples will be sold to thousands of hungry attendees. Over 60 varieties of heritage, new and “tried and true” varieties are available, grown both conventionally and organically. Approximately 50 varieties of apple trees grafted onto dwarfing root stock are also for sale, perfect for the home garden or patio. List of 2016 apples for sale. List of 2016 apple trees for sale. One of the most popular activities at the Apple Festival is the Friends of the Garden Apple Tasting Tent Sponsored by Whole Foods. For $5, curious event goers can taste a huge variety of new and heritage BC-grown apples. Please note that not all the apples in the tasting tent will be available for sale due to very limited availability of some heritage varieties. List of 2016 apples available for tasting. Kids can engage in a number of activities in the Children’s Area, ranging from face painting, games and storytelling. They can learn about biodiversity, the environment, bees and other pollinators and more from our outreach partners. And don't miss everybody's favourite, the Leaf Pile! Also at the event is The Vancouver Island-based BC Fruit Testers Association who hosts a physical display of the nearly 200 apple varieties that are still grown in British Columbia. This year's Food Fair promises to have something for everyone! From apple pie to hot coffee, chocolate, pizza, pierogies, cookies, popcorn and much more, you'll be sure to have fun sampling all of the different offerings. You can also discover great finds from our crafters, including knitwear, soaps, pottery and stationery. A variety of talented entertainers keep the family amused, including family-friendly shows on the Main Stage. Here is an Entertainment Schedule of the acts performing at Apple Fest. Anthony Blackman is a steel drummer loved by many. He has attended Apple Festival for the last five years. 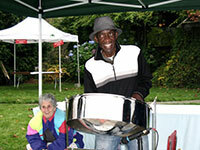 The beautiful sounds of his expertly played steel drum will soothe or energize you depending on the tune. You will find him in various areas of the Garden during Apple Festival 2016. Rebecca Blair’s career as a harpist and teacher has been both rich and varied. She is active in the Vancouver folk music scene, performing with groups such as the Maenads and Triskellion. Rebecca works as a freelance musician and her audiences have included the International Bar Association and the President of Ireland. She sometimes works as a studio musician playing on CDs such as the Maenads and Orra Chan by Teresa Doyle. 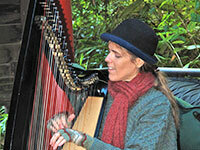 Rebecca regularly gives harp workshops at Place des Arts in Coquitlam. She keeps a busy schedule of teaching and performing, as well as studying Irish dance. Visit her website at www.dancingharp.com. Coming and Going are Michael Burnyeat on fiddle and Don Davidson on mandolin. In 2010, 12-year-old fiddle student Michael was invited to play at the Celtic sessions at the Jericho Folk Club. Two years later he was leading those sessions. When other playing opportunities arose, he asked Don Davidson, a regular at the sessions, to accompany him. Together they have performed as a duo at the Tipper Restaurant Supper Series, the Princeton Folk Festival and the Blueberry Festival. They remain popular buskers at Vancouver Farmer's Markets. They can be reached at michaelburnyeat@gmail.com. Vancouver's ErRatica is your all-purpose kitchen party band, performing original material and a whole lot of songs and tunes from a variety of folk traditions in a variety of ways on a variety of musical instruments. Bernard Gobin, Cameron Stewart, Don Davidson and Jane Slemon make up this hearty gang of four. Their CD is called We Sail On a Notion. They can be reached at jslemon@telus.net. Fionn is the new name for the duo Alanna & Brianne Finn-Morris. 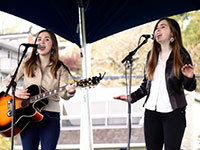 They are award-winning 17-year-old singer-songwriters from White Rock, BC. They have appeared on CBC Radio, Urban Rush, The Proposal and can frequently be heard singing the national anthems at the Vancouver Giants games at the Pacific Coliseum. They have performed at numerous festivals and venues throughout the lower mainland as well as in Nashville, including several performances at the famous Bluebird Café. They can be reached at their website www.reverbnation.com/alannabrianne or at beanstalk@telus.net. Barry Truter and Roger Holdstock are Fraser Union, who have been singing together—it seems for forever! 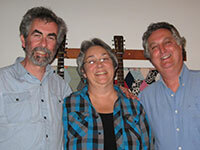 Susan Larkin is a frequent special guest of Fraser Union, adding fiddle and vocals. 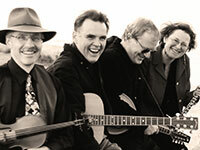 Their repertoire covers many Canadian songs that tell stories of this land and its people. They love to sing songs with choruses and hope others will join in. 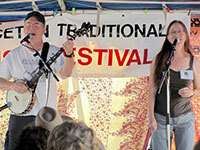 Fraser Union has also performed at the Vancouver Folk Music Festival and Vancouver Island MusicFest. You can take their music home—they have five CDs to choose from. For more information, recordings, or bookings, please contact Roger Holdstock at holdstockroger@gmail.com. Fraser Union is also on Facebook and YouTube and at www.fraserunion.com. Jon and Rika have been singing together for nearly forty years. They sing songs made by the prospectors, miners, loggers and settlers of early BC. Their published works include seven CDs and a collection of verses, songs and historical essays drawn from the papers of the Similkameen Valley between 1900 and 1945. Their most recent CD, Now It’s Called Princeton: Songs and Poetry from the Upper Similkameen, is a collection of mining, ranching, logging and settling songs found in the archives of the Princeton Museum. 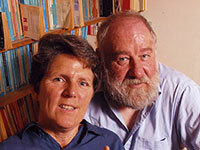 Jon and Rika have been involved in every aspect of folk music—singing, collecting, publishing, educating, producing radio programs, and organizing folk music societies and festivals. 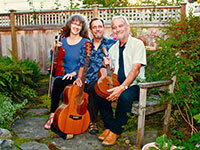 They are the founders of the annual Princeton Traditional Music Festival. Visit their website at www.jonandrika.org. 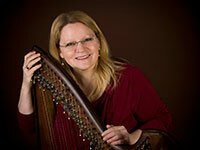 Judy Henry has fallen captive to the spell of the strings and has immersed herself in the Celtic Harp. She is a dedicated musician, seasoned performer and an experienced and patient teacher who delights in working with and inspiring her students. Judy has performed for many years and her audiences have included three-year-olds to the King and Queen of Sweden. Judy enjoys a busy performance schedule all over the Lower Mainland and maintains an active studio in Tsawassen and White Rock. She can be reached at judyhenrymusic@gmail.com. Just Duets is Andrea Smith and Dave Lidstone in a musical collaboration of wonderful sibling-like vocal harmonies with solid guitar accompaniment. Their repertoire consists of songs of life and love that come from a variety of musical genres and reflect a commitment to social justice, to Canadian roots, and to poetry in song. They can be reached at asmith@langara.bc.ca. Start with some bluegrass; stir in country, rhythm & blues, and swing, then add a pinch of Latin and simmer for about 30 years—that’s the recipe for an evening of music with the Little Mountain Trio. 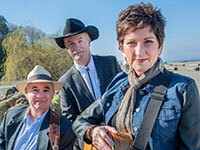 Kitty King, Dave Lidstone and Rob McGregor put their varied musical talents together on acoustic bass, guitar, mandolin, and three-part harmonies. Delicious! They can be reached at davelidstone@shaw.ca. 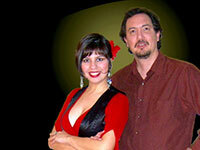 Romance, passion and lively rhythms: Sangre Morena is a musical duo with Elsa Rojas Marquez and Jose Gimenez, who perform music from Mexico, Latin America and Spain. They bring the most beloved Spanish-language songs to life with beautiful, passionate singing and the fiery sounds of the Flamenco Guitar. Find them at www.sangremorena.com and info@sangremorena.com. 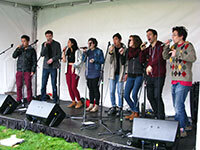 The Hot Teas is an a cappella group based in beautiful Vancouver, BC. Upon graduation from UBC (for some, with two degrees), they collectively realized that the only way to fill the a cappella-shaped hole in their hearts was to start a group of their own. While they may be young professionals by day, each singer has a musical history that includes at least five years of acappella. The group rehearses over cups of hot tea and laughter, blending friendship and a love of harmony into a signature style. They sing everything from pop to indie rock, and bring talent and a vast range of experience to the stage. You can find more information about them at www.facebook.com/thehotteasmusic. The motto of The Irish Wakers is “Celebrate Life,” appropriate for a fun and rollicking Celtic band who alternate all manner of fiddle tunes with a wide range of songs, from contemporary Irish ballads to old sea shanties. 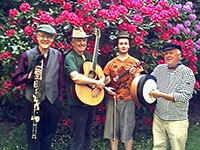 Band members are Blake Williams (bodhran), Brian Robertson (guitar, bizouki), Hugh Brock (flute, whistles, pipes) and up-and-coming fiddle sensation, Michael Burnyeat. They can be reached at robertsonb@shaw.ca. Steeped in rootsy rhythms, panfried in traditional country, then stewed in a gumbo of blues, jazz and western swing, The Soda Crackers are the perfect accompaniment to any event! Ingredients: 1 heaping helping Sue Malcolm’s warm, mellifluous voice; 2 parts Don Fraser’s kinetic, creative guitar playing; 1 dollop Stu MacDonald’s groovy bass lines; Don & Stu’s vocals to season; a pinch of Crackery magic; a liberal dose of Good Humour! They can be reached at sue@suemalcolm.com. The Têtes are Lynn McGown, Michael Pratt and Vanessa Kay. Lynn McGown and Michael Pratt have an infectious love of singing that has delighted audiences in Vancouver for over 30 years. They have played at The Vancouver Folk Music Festival four times, and at various concerts and Folk Clubs throughout Canada and the British Isles. They sing with a wonderful sense of fun, passion and with harmonies both beautiful and unique. Vanessa Kay on fiddle brings a beautiful gift for improvisation and a driving energy for fiddle tunes to the quartet. Vanessa has performed and recorded with Tarkin, Ballyhooley, Spark that Screams and Subconscious Satellite. Brian Robertson joins the Têtes as a guest and will play guitar and sing. 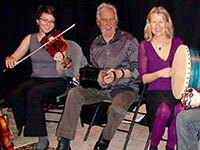 They can be reached at michael@celtictraditions.ca or phone 604-222-2299. 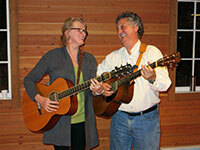 Join Tom and Ellen for some humorous stories, user-friendly songs, and acoustic folk philosophy that's guaranteed to leave you smiling. Armed with banjos, penny whistles, and other weapons of mass delight, Tom and Ellen will have you singing along in no time. Tune up your vocal chords; you'll need 'em! They can be reached at www.tomrawson.com. Don’t forget about our Scarecrow Contest! Kids, teams and families are welcome to submit their scarecrow for judging. All entries will be eligible for great prizes! Make sure you read the Scarecrow Contest Rules and Regulations. Hi Timothy – all of the apples come from over 30 BC growers, from Salmon Arm down through the Okanagan and Similkameen Valley. Unfortunately we can’t list the names as some of them are not retail growers. We’re glad to hear you enjoyed the Festival, though, and survived the wind and rain! Loved the festival this year! A delight as always. I am left with a question though, where are the all the apples that were for sale grown? Is there possibly a list of growers? Yes, we are selling apples, pears & apple juice at the Reception Centre at UBC Botanical Garden. Today and every day until we are sold out, 10am – 3pm. $5 for a 3 lb bag of conventional apples, $6 for organic, $5 for pears both conventional and organic. Please drop by and get ’em while they last! I heard on the radio you will be selling apples again today (Monday). Any more info please? Hi Yolanda – yes the shuttle is working and continues to bring visitors to enjoy Apple Festival! It drops you right outside of the Main Gate where the apple sales are. To access the rest of the Festival, you need to walk through the Garden, through the tunnel and to the east side where you will find the tasting tent, children’s area, main stage entertainment and food fair. For accessible services we can arrange for a golf cart shuttle to the other side. Hope you make it! Hi Alison, it takes about 10 minutes to walk from the west side of the garden (where the apples sales are) to the east side of the garden (where the children’s area, food fair and tasting tent is). You can use the Holding Area to drop off your apples and cider so you can walk around without having to carry your purchases. So many people braved the wind and rain today to buy cratefuls of apples, and everyone had a great time. We hope you are able to come out and enjoy the time you have available! I’m sorry the weather is so bad…We hope to brave it, but am solo with a toddler. I hope to try and buy apples and cider so will have my hands full. I seem to remember it’s a bit of a trek for little ones. We’ll only have a couple of hours due to other commitments, so it may not be worth it, but would sure like to try….Is it much of a walk through the garden, parking, shuttle process etc? Hi Angela – yes we are still open today and tomorrow for Apple Festival. We’ve seen lots of people come through the gates so far and leave with cartloads of apples. Just bring your raincoat, boots and something warm to wear! Is the apple festival still on tomorrow on 16 Oct? Hi Vivian – trees are $32-$35 and yes, you can pay by cash, debit or credit card. Hope to see you at the Festival! I was hoping to buy a couple of apple trees this year, how much do they usually cost and do you accept any method of payment? Hi Barb – yes, we are still on! It takes a huge amount of logistics to put an event of this scale on every year, and we just can’t postpone with a day’s notice. Our apples have arrived, the tents have been set up, and the food truck vendors and entertainers are all set to come. Our very resilient FOGs have been working for days in the rain and they are a GO for tomorrow! The weather is crazy. Are you still having the festival in spite of the storms? Why not postpone until next weekend? This is more than just a bit of rain. Hi Michele – Yes, the $5 is for admission to the Festival, including the apple sales. The entire event is a fundraiser for the Friends of the Garden, and the monies raised are used for research, conservation and education. Hi Janet, we unfortunately did not receive any Gravensteins or Bough Sweets this year, but Gravenstein trees will be available if you want to grow your own apples! Hope you can still come and enjoy the Festival. Hello! The Apple Festival has always taken place in October. It’s our Treasured Bulb sale that takes place in September. Come check us out this weekend…just bring your rain gear! Every year I look for Gravensteins and Bough Sweets and rarely find them. Will either of these be available in the Apple Festival? Do you have to pay the $5 fee if you are just going to buy apples in the apple buying area? Hi Corrine, unfortunately the largest size of cider for sale will be the 4L jug. Hi Michele – for apple purchases you can pay by cash, debit or credit. The $5 entry fee will be cash only. Hope to see you on the weekend! Hello. Why the festival is not taking place in September as in 2 years ago? We would like to make our own apple cider (the one with alcohol) and are wondering if you sell apple juice in larger amount (like 25 liters or more)? Thank you so much! Are you going to have debit/credit card machines for the purchase of apples, or do we need to bring cash? 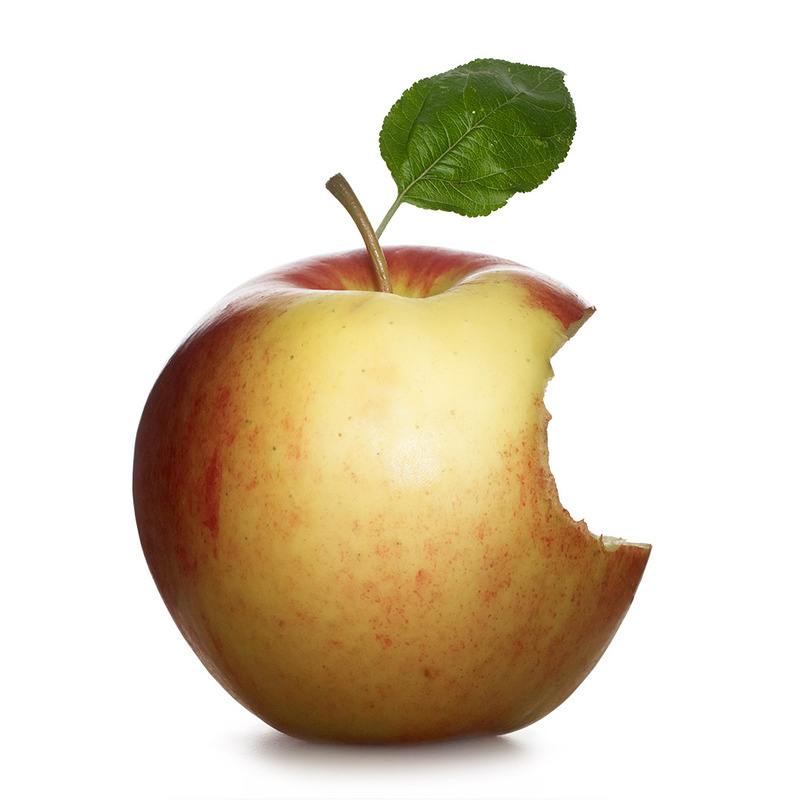 Hi Jessica – we are still ON for this weekend–the apples are not going anywhere! 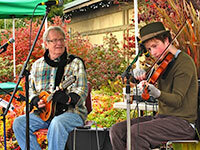 Hi Mike, Apple Festival runs 11am-4pm on both Saturday and Sunday – rain or shine! Hi There, with the horrible weather forecast coming up, where can we keep a look out to ensure Apple Festival is still running on Saturday? I remember having horrible rain weather before and I still came to get my apples! However this weekend it looks pretty bad. Where can we look to for a good update? When does the festival end (time) on the 15th? The Apple Festival will be happening this weekend! We’ve got our rain ponchos ready! I remember an especially wet apple festival a few years ago, but the forecast for this weekend is horrible. Will the festival happen no matter how stormy the weather might be? Hi Madhukar, welcome back to UBC! You can find out all about apples at the Best Apple Display in Canada, which will be put on by the BC Fruit Testers Association. There, you can find out about apple diversity and organic apples. We have tours of our Food Garden at 11:30, 12:30 and 1:30…it’s the oldest demonstration Food Garden in Vancouver. You can also chat with our Pomologist in Residence, Richard Hallman, about fruit trees (he will be located in the apple sale area). Hope you can join us and see how UBC has changed in 30 years! I would like to know more about organic apples. Do you have any publication on this topic? Hi Gerry – We will receiving over 36,000 pounds of apple this year, and while it is true that some apples that are in limited supply may sell out on Saturday, we do ensure that a good variety of apples are left for Sunday. I am visiting UBC campus after 30 years & I am very keen to participate & learn about apple diversity & sustainable production systems. Will there be any apples left on Sunday? We typically find a lot of varieties sold out on the Saturday morning. Hello Hiro – yes, you can buy individual apples for $1. Not all of the apples we will receive may be available for individual apple sale, however. It depends on what we end up receiving from our apple suppliers! Please go to the information table on the Pavilion side of the Garden (east side, closer to Thunderbird Stadium) for the single apple sales. Hi George – yes, you can learn all about fruit trees from our Pomologist in Residence, Richard Hallman. He will be there at the Festival, answering your questions and providing advice. Hope you can come and get your questions answered. Is that possible to buy 1 or 2 apples of each variety? Tasting tent doesn’t work for me because I have to eat the apples too fast. I can’t remember the taste and name at all. I have a vegetable&fruit blog and I write about apples of course. If you could help me this, that would be great. I own 1 apple tree and would like to be informed about pruning and prevent damage to the fruit . Will I get help here at the festival. Until 4pm each day, October 15 and 16. Hope to see you there! What’s the duration of Apple festival? From 11 am until ….. ? You can email me at garden.volunteer@ubc.ca and I sent you an email with sign up links as well. Hi, I am wondering how to apply for the volunteer here cuz I cannot find the link to that information. Hi Shirley – Our apple tree buyer has told me a full list of trees won’t be available until early October. She suggests you call the Garden Centre at 604.822.4529 and see if they have any available from their commercial apple tree suppliers. She also said these varieties are not very common, as the apples are so commonly available in stores, so people don’t find the need to grow them. Good luck with your search, and hope to see you at Apple Festival! I live in Richmond ,I would like order dwarf McIntosh,Granny Smith apple tree for my back yard, do they have ? or can i contact the seller?thank you.